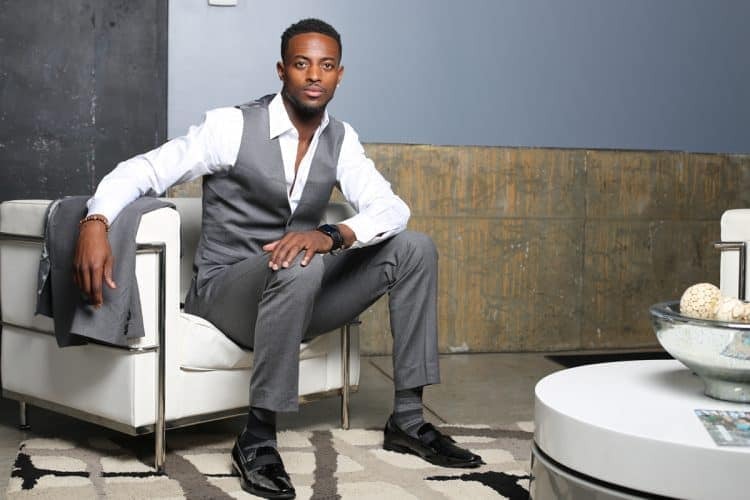 I jumped at the chance to chat with NFL Wide Receiver and fellow Virginia alum Dontrelle Inman about football memories as well the grooming regimen that keeps him looking and feeling his best. I asked Dontrelle about his favorite memories of college ball. “Catching my first pass in Wyoming in that crazy altitude that I could barely breathe! Oh, and the Cav Man falling off the horse when we were introduced on the field!" Did you always know you’d make it to the NFL? My senior year, once I started to feel confident again in my ability to perform and win my individual matchups. That was the turning point and eye-opener for me. ​What part of your fitness regimen contributed most to your enhanced performance and ability? Steady routine of working out in season, but even more so, the off-season grind. I put in just as much, if not more, work in the off-season so that my body is always conditioned and ready to play. I can admit that once the off-season starts I do give my body some time to relax completely before I get back to training. I’ll have a few cheat days as a reward for how hard I work year around. As for grooming, definitely discovering the Kiehl’s line of products for Men! I literally use them all, but a game changer is their Ultimate Man Razor Bump Relief Cream. I have seen a significant difference in the amount of razor bumps since using the product and that itself is a confidence boost. How has your own personal style evolved? From college until now, I’ve learned to put more time and thought into the pieces and products I purchase. With my style, I definitely take the time to coordinate outfits and purchase staple pieces for my wardrobe. When it comes to products for my personal grooming, I definitely have evolved because I truly invest in quality products now. My skin is very important to me, as being a professional athlete, I frequently do TV interviews and hope to have a career commentating post NFL career. What are your grooming rituals? Constantly booking barber appointments, constantly shaving and exfoliating to prevent ingrown hairs, and making sure I moisturize daily. I keep my routine pretty simple. I just try to stay consistent with it! Definitely prioritize my skin. It gets rough out on the field, and from games to practices my skin often gets pretty banged up. So, when I am off the field I make it a priority to make sure I take care of myself, inside and out. I try to drink at least a gallon of water a day. I think that really helps keep my skin fresh and hydrated. What one piece of advice would you pass on to a guy who wants to level-up his personal appearance? Exfoliating and moisturizing skin isn’t just for the ladies … it should be essential to your daily/weekly routine! I love that It takes my grain of hair from being a desert to finally getting some moisture and a little curl pattern. The best product for ingrown hairs, facial blemishes, and keeps my skin moisturized. Gives a clean line up and keeps my beard sharp and fresh! It’s a good day starter, not only moistures my skin but energizes my skin with its caffeine component.